If there were any doubts that Samsung had lost its touch, the South Korean company quelled them at Mobile World Congress 2018… mostly. On Sunday, the smartphone maker formally announced the Galaxy S9 and Galaxy S9+, the newest phones in its storied Galaxy series. Both have lightning-fast processors in Samsung’s Exynos 9810 or Qualcomm’s Snapdragon 845 (depending on the model), industry-first variable f/1.5 + f/2.4 aperture rear cameras, professionally-tuned stereo speakers, and new software features such as AR Emoji, Samsung’s take on the Apple’s Animoji. But while the Samsung Galaxy S9 and S9+ check every box imaginable, they lack the element of surprise. There’s no beating around the bush: Samsung’s new standard-bearers are less revolutionary than evolutionary. 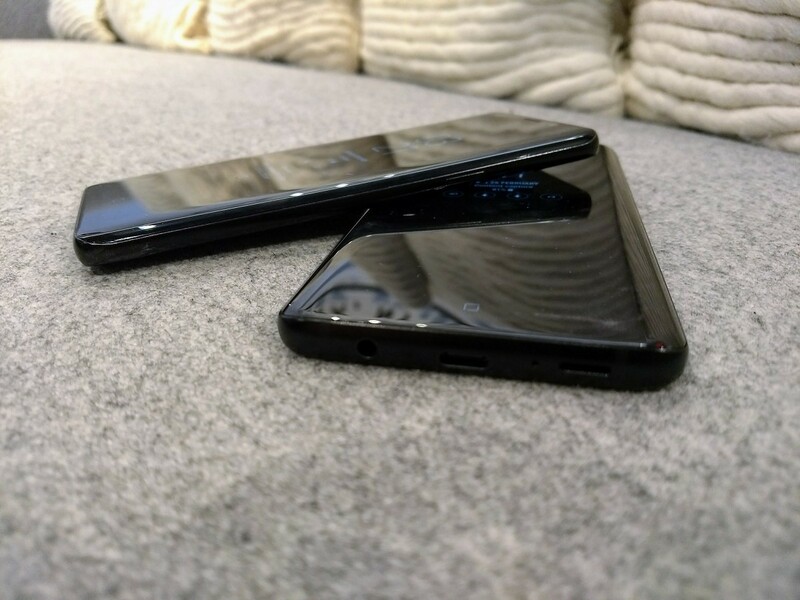 They’re nearly identical to their predecessors in terms of design, right down to the curved edge-to-edge 18:9 displays, glossy back plates, and Gorilla Glass-shielded exteriors. And with the exception of new processors and speakers, not much has changed on the inside. 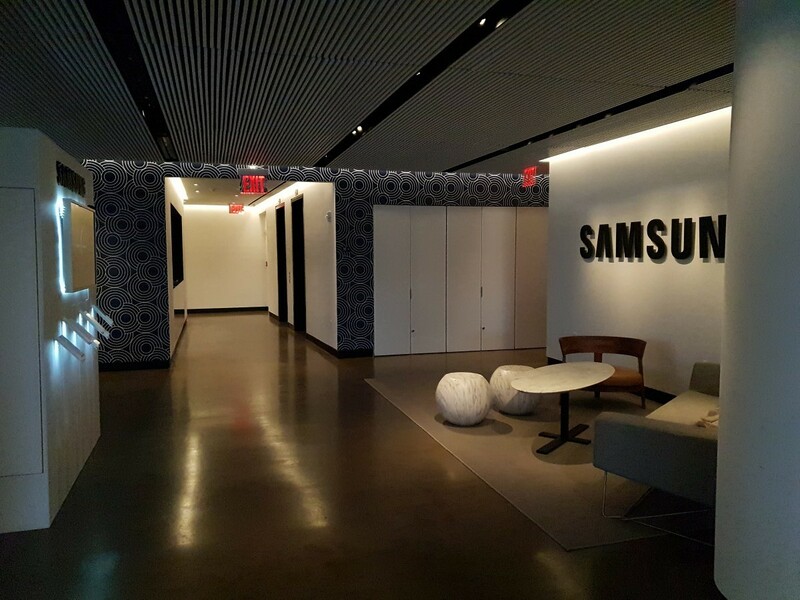 Passing judgment from afar isn’t exactly fair, though, so when Samsung extended XDA an invitation to try out the Galaxy S9 and S9+ for ourselves at its New York City venue, we eagerly accepted. Our impressions after an hour with both phones? Positive. Still, we can’t help but feel that while the Galaxy S9 and Galaxy S9+ are faster, brighter, and louder than every other Galaxy smartphone that’s come before them, Samsung played it safe. 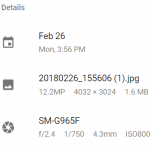 The Galaxy S9 is distinguished from the Galaxy S9+ only by its screen size (it has a 5.8-inch display compared to the Galaxy S9+’s 6.2-inch display), dimensions (it measures 147.7 millimeters in length and 68.7 millimeters in width; the Galaxy S9+ is 158.0 millimeters long and 73.8 millimeters wide), and weight (it’s 26 grams lighter than the Galaxy S9+). It also lacks the Galaxy S9+’s secondary camera, and settles for 4GB of RAM instead of the S9+’s 6GB. Otherwise, the two phones are pretty much identical. That’s especially true when you’re squinting at the two from a distance. It’s only when you hold them side-by-side that the differences become more apparent, albeit only slightly. What was more striking to us, though, was just how similar the Samsung Galaxy S9 and S9+ feel and look like the Galaxy S8 and S8+. The pair isn’t a perfect analog for its outgoing forerunners, but most folks will have a tough time making out changes such as the ever-so-slimmer top and bottom bezels and subtler curve to the left and right of the screen. 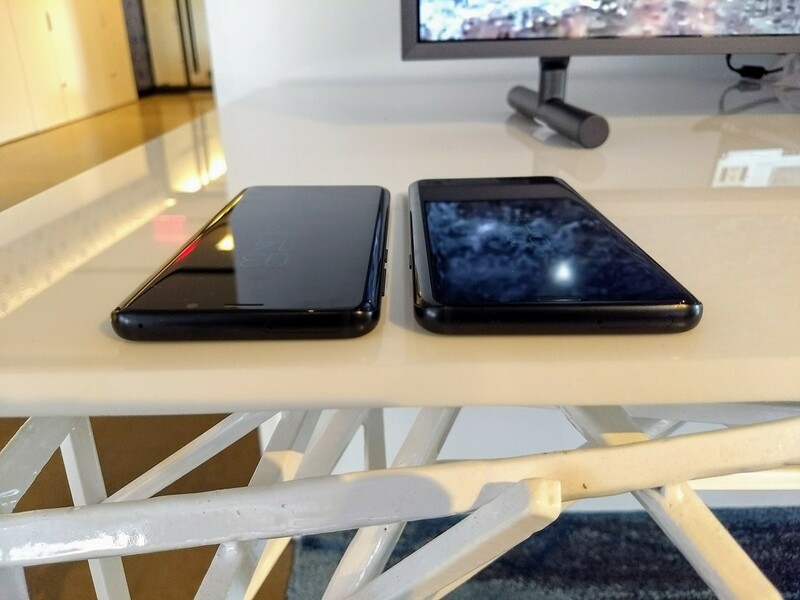 Galaxy S8/S8+ fingerprint orientation on the left; Galaxy S9/S9+ fingerprint orientation on the right. One thing they might notice is the fingerprint sensor, which was adjacent to the rear camera on the Galaxy S8 and S8+. It’s been moved beneath the sensor module (which is now oriented vertically as opposed to horizontally on the S8 and S8+) on the S9 and S9+, which is a welcome improvement. Swiping a fingertip across the sensor, which used to require shimmying your hand up the sides of the phone to reach a finger around the volume rocker (or the power button, if you’re left-handed), is a much less arduous task than it used to be. The sensor is now situated below the camera on the rear panel. No finger kinesthetics required. 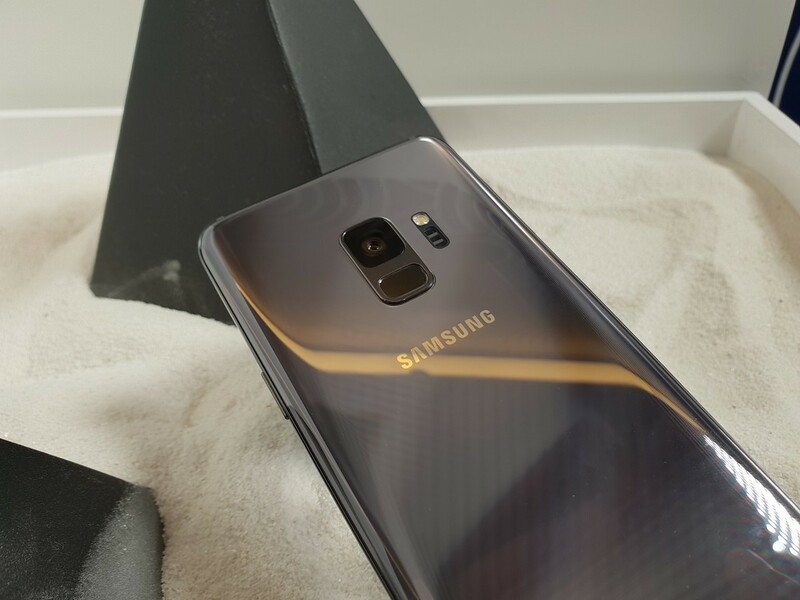 Fingerprints, while we’re on the subject, are something of a given on the Samsung Galaxy S9 and S9+’s Gorilla Glass 5 front and back. The scanner’s tweaked placement might prevent wayward digits from smudging the phones’ camera lenses, but does little to shield the highly reflective cover from sweaty, oily skin. As with the Galaxy S8 and Galaxy S8+, you’re going to want to throw the S9/S9+ in a protective case or carry around a microfiber cloth to keep it spick and span. The Galaxy S9 and S9+’s design may not be radically different from the Galaxy S8 and S8+’s design, but the cameras are where the phones really shine. In fact, they’re easily the highlight. There was initially some confusion about whether the Galaxy S9 and S9+ are capable of 4K HDR video recording. It’s a feature of the Snapdragon 845’s imaging chip, and a Qualcomm press release on Monday, since edited, contained language suggesting Samsung’s flagships would be one of the first on the market to support it. Unfortunately, that’s not the case: A Samsung representative confirmed to XDA that there are no plans to support 4K HDR video recording on either the Galaxy S9 or S9+. That puts the phones at a disadvantage compared to Sony’s newly announced Xperia XZ2, which has the same chipset and does support 4K HDR recording. 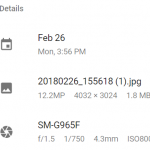 The Galaxy S9 has a 8MP f/1.7 aperture autofocusing front-facing camera (1/3.6″ sensor size, 1.22µm pixel size, and 80-degree field of view) and a 12MP rear camera (1/2.55″ sensor size, 1.4µm pixel size, and 77-degree field of view), with the S9+ packing an additional 12MP telephoto lens (1/3.4″ sensor size, 1.0µm pixel size, 45-degree field of view) for “2x zoom”. The sensors have Super Speed Dual Pixel, a faster and more accurate version of Samsung’s Dual Pixel focusing technology, but they otherwise haven’t changed — they retain the Galaxy S8 and S8+’s optical image stabilization, LED flash, and phase detection autofocus. But the aperture is a smartphone first. It’s mechanical. 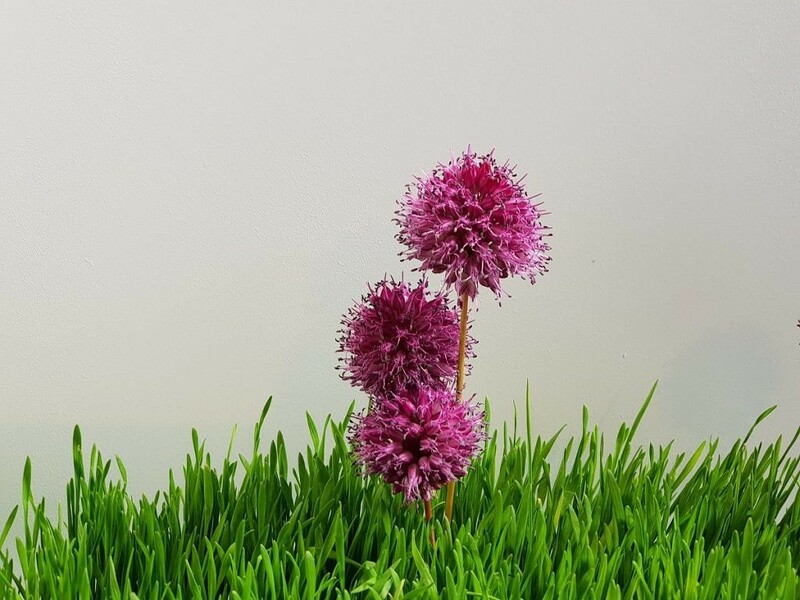 The Pro mode in the S9 and S9+’s camera app gives you two settings to choose from: f/1.5, a lower aperture better suited for low light conditions (think nighttime and dimly lit offices), and f/2.4, the default setting. (Alternatively, the app’s Automatic mode switches to the f/1.5 aperture when ambient lighting dips below 100 lux.) 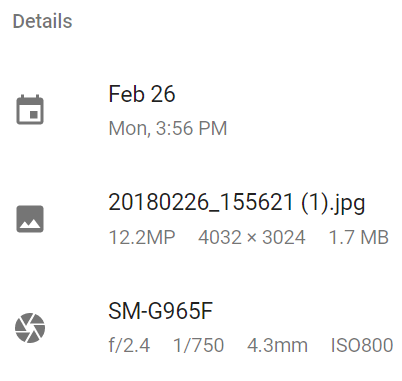 A tiny motor in the Galaxy S9/S9+’s camera module is responsible for the adjustment — it contracts (when set to f/2.4) or expands (when set to f/1.5) a ring around the sensor’s lens. The switch between the two apertures is nearly instantaneous — a major plus. 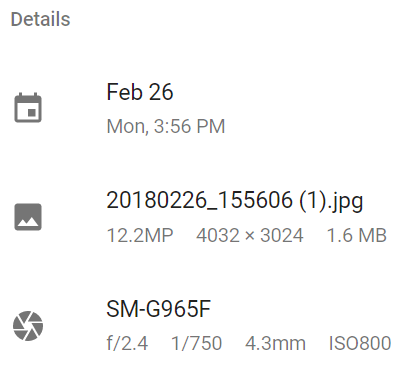 And when we compared results from the two aperture settings at the same ISO and shutter speed, the photos captured in f/1.5 aperture seemed a little bit brighter and crisper than their f/2.4 counterparts. Photo from the Galaxy S9+ taken with the aperture set to f/2.4. Photo from the Galaxy S9+ taken with the aperture set to f/1.5. 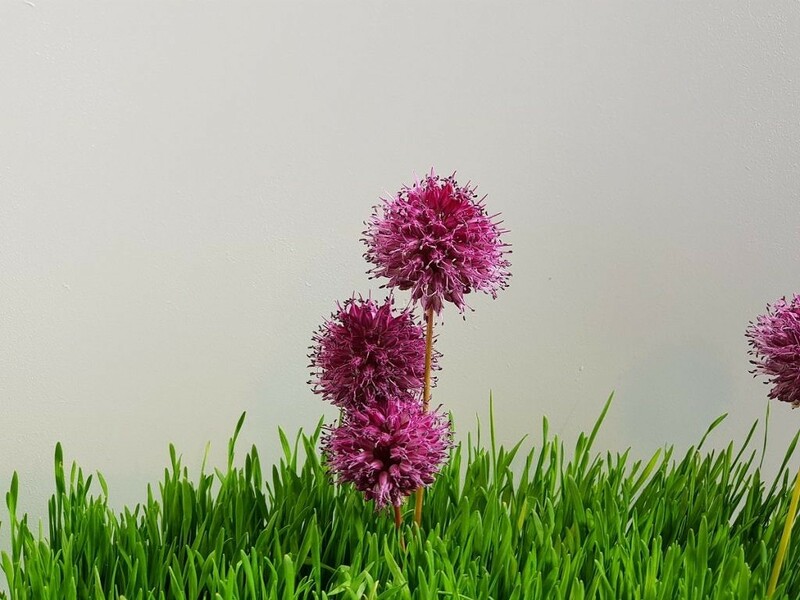 The Samsung Galaxy S9 and Galaxy S9+’s other camera improvements take advantage of the image signal processors (ISP) in the Exynos 9810 and Snapdragon 845 (the Spectra 280) and dedicated DRAM. 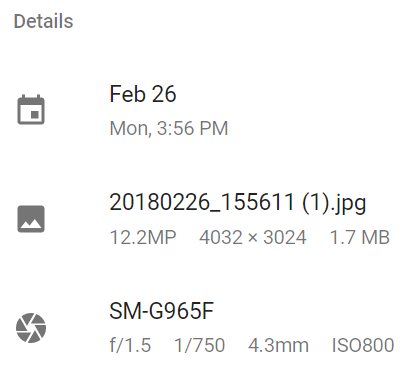 Snapping a photo on either phones triggers a burst shot of 12 images, which the ISPs divide into three sets of four, combine on a per-set basis, and generate a single picture. 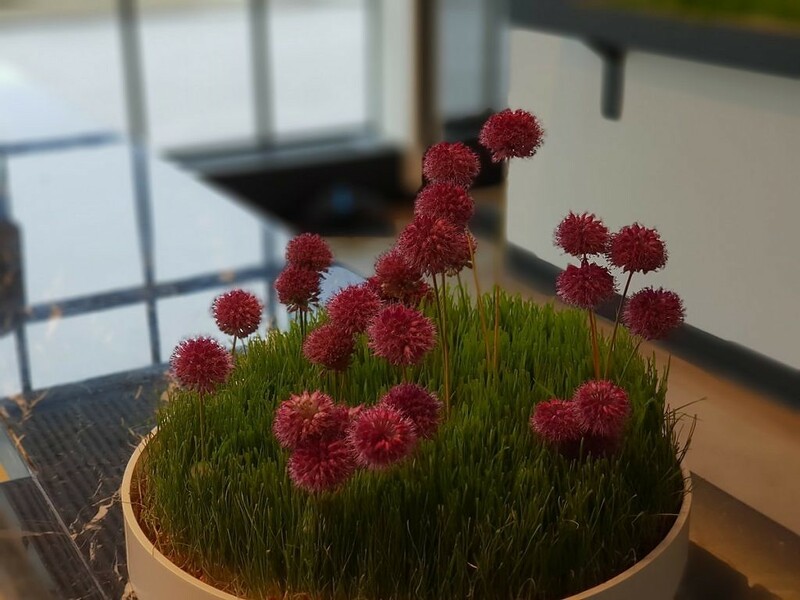 Samsung calls it multiframe noise reduction; previous-generation Galaxy smartphones combined just three images. The resulting composite is much more vibrant, crisp, and clear than a one-shot picture. (That won’t come as a surprise to anyone who’s used the Google Camera’s HDR+ mode, which takes a similar approach.) Samsung says the Galaxy S9 and S9’s improvements translate to 30 percent less noise in low-light conditions — a claim we’ll have to put to the test at a later date. 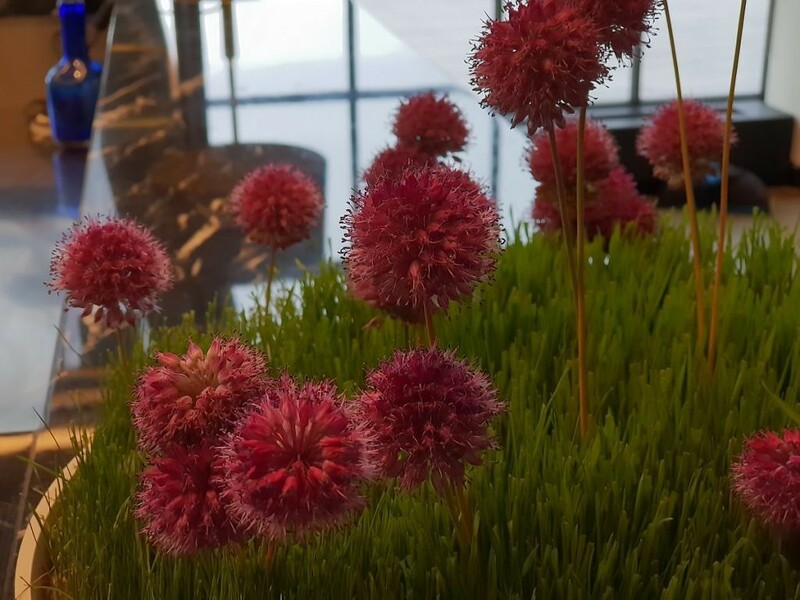 The photos we took with the Galaxy S9 and S9+ seemed sharp and colorful to our untrained eyes. Taken with the Galaxy S9+ with the aperture set to f/2.4, 1/60 shutter speed, and ISO32. Taken with the Galaxy S9+ with the aperture set to f/2.4, 1/50 shutter speed, and ISO40. Taken with the Galaxy S9+ with the aperture set to f/2.4, 1/33 shutter speed, and ISO25. Samsung gave the selfie sensor some love, too. On the Galaxy S9 and S9+, the 8MP front camera can optionally blur the background of images while keeping the foreground in focus in Selfie focus mode, much like the bokeh effect on the Google Pixel 2 and Pixel 2XL. It’s accomplished entirely in software, and the results aren’t perfect — several of our test selfies, the outer edges of the subject’s face are a bit smudged where the algorithm blended the image. 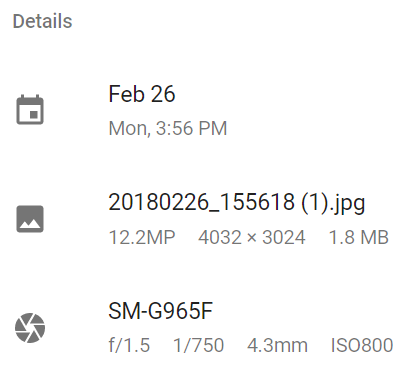 On the video side of things, the Galaxy S9 and S9+ have a new trick up their sleeves: 960FPS recording. Taking a page from the Sony Xperia XZ Premium‘s playbook, the handsets can capture clips in what Samsung calls Super Slow Motion. 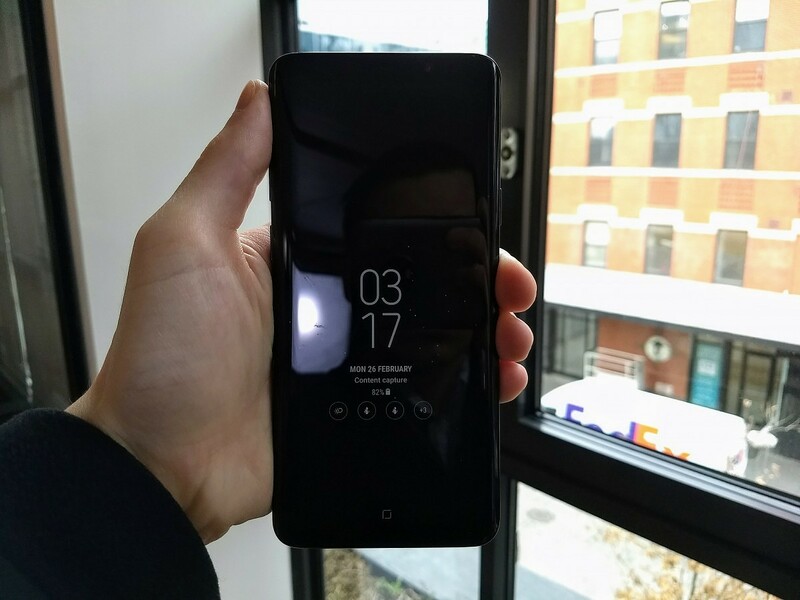 Unlike Sony’s Xperia XZ2 and XZ2 Compact, which can record at 1080p resolution, they’re capped at 720p (the clips are captured in 0.2-second bursts and play back as six-second videos). But we have no complaints about the quality: The few clips we captured were razor sharp and buttery smooth. We especially liked the automatic capture feature, which triggers Super Slow Motion when an object enters an adjustable, predefined boundary in the camera’s viewfinder. Another nifty tool is a GIF generator that turns Super Slow Motion videos into shareable images, with effects such as an Instagram-esque Loop, Swing, and Reverse. (You can save the resulting image as your wallpaper, if you so choose.) It’s sure to come in handy when your social medium of choice doesn’t support video. 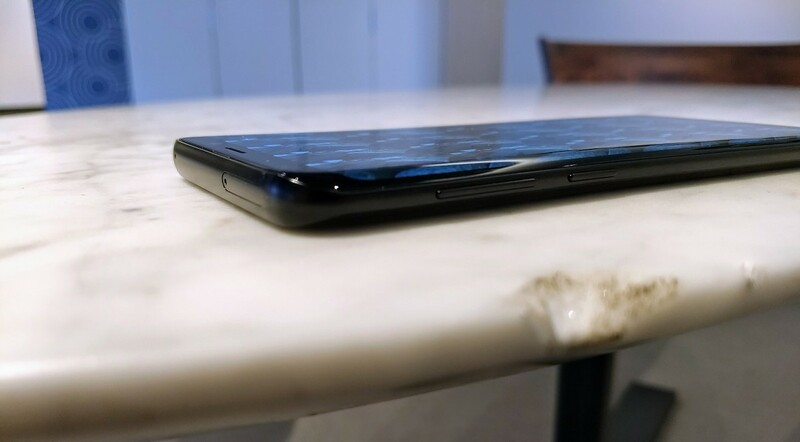 If you’re like most people, you’ll spend a majority of time staring at the Galaxy S9 and S9+’s screen — not their back covers. Both phones have 2960×1440 Quad HD+ Super AMOLED displays with 18.5:9 aspect ratios (570 pixels per inch on the Galaxy S9; 529 ppi on the Galaxy S9+), and Samsung says they’re the “brightest ever” on a Galaxy series smartphone (they both reach 700 nits, or 15% higher than the Galaxy S8 series’ maximum). 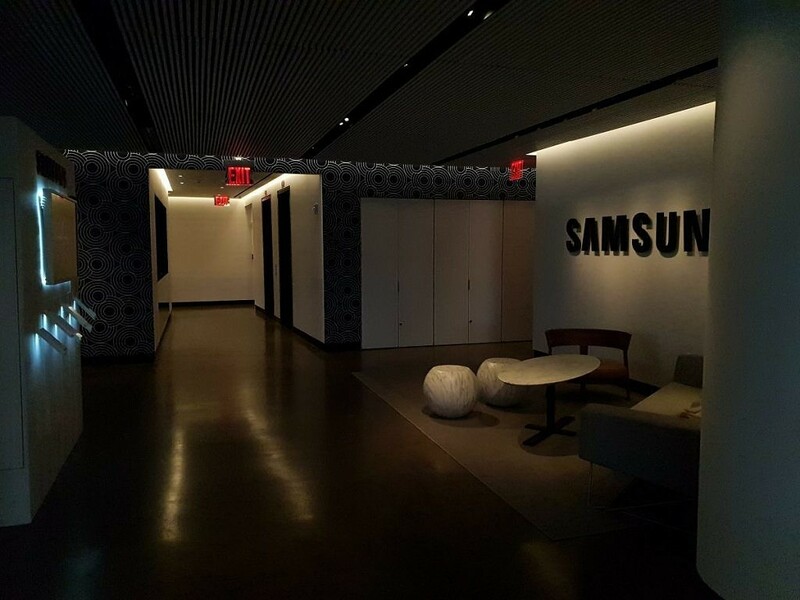 That may be so, but the overhead lighting in Samsung’s demo space made it tough to judge the difference with the naked eye. Unfortunately, we didn’t have a brightness tester and were instructed not to take the phones outside, where direct sunlight might have made it easier to judge the improvements (and/or trigger high brightness mode). Suffice it to say that the Galaxy S9 and S9+’s panels are just as colorful and vibrant as they are on the Galaxy S8 and S8+, if not more so. Basic Screen Mode, which uses the sRGB/Rec. 709 color space. Each has their advantages and disadvantages, with the AMOLED Cinema and Basic modes producing flatter but ostensibly more accurate colors than the two alternatives. It’s ultimately a matter of personal preference. It’s worth mentioning that the Galaxy S9 and S9+ are certified by the UHD Alliance for Mobile HDR Premium content (thanks in part to support for DCI-P3). The nuances of HDR are a little complicated, but in essence, HDR videos and video games boast higher contrast and brightness than non-HDR media, contributing to a picture with more accurate colors overall. It’s not just HDR content that benefits — according to a Samsung representative, the S9 and S9+ have Samsung’s Video Enhancer feature, a carryover from the S7 and S8 that boosts the brightness and color contrast of streaming and local video. Samsung’s words rang true in our limited time with the Galaxy S9 and S9+. The HDR YouTube videos we watched were richly rendered on the phones’ screens, with the AMOLED screens’ deep blacks highlighting the bright reds, yellows, and greens. The Galaxy S8 and S8+ shipped with an iris scanner. It worked, but somewhat inconsistently in certain lighting conditions — especially if you wore color contacts or sunglasses, or held your phone beyond the recommended distance from your eyes. The iris scanner is present and accounted for in the Galaxy S9 and S9+, but with a fallback this time: facial identification. A new feature called Intelligent Scan uses both the iris scanner and the front-facing camera to secure the phones. In practice, when you tap the power button, both sensors start scanning your face for matches. As soon as there’s a positive ID, it’s open sesame — you’re greeted with the home screen. A dearth of supported content makes Dolby Atmos less of a value-add than it otherwise might be, but a Samsung spokesperson said that Atmos-supported videos and movies will come to the Netflix on smartphones later this year. Mum’s the word on the number and date. Don’t expect Galaxy S9 and S9+’s speakers to blow you away, though. They might sound better than last year’s models, but they’re still too tinny and boomy to stand in for a decent boombox or Bluetooth speaker. Apple’s Animoji, which tap the iPhone X’s depth-sensing Face ID camera for goofy animated iMessages, have achieved something of a cult following. It’s enough to have caught Samsung’s (and Asus’s) attention: The Galaxy S9 and S9+ ship with AR Emoji, a face-mapped camera feature that uses the phones’ front-facing sensor to mimic your mouth, eyebrow, and head movements on a humanoid caricature. They’re easy to get up and running: On-screen instructions have you stare head-on at the camera and select your gender, and the camera app does the rest, analyzing more than 100 points on your face to render a cartoon version of you — replete with hair, eyebrows, customizable clothing, and a disproportionately small body. A mini-me isn’t the only AR Emoji on offer. Samsung partnered with Disney to bring 3D-rendered versions of Mickey Mouse, Minnie, and characters from Pixar’s Incredibles. Whichever model you choose, the camera app automatically generates 18 animated AR Emoji stickers in a shareable format (MP4). There’s a host of additional masks, filters, and accessories to choose from. And unlike Apple’s Animoji, which can’t be exported from iMessage, AR Emoji work in any app — be it a messaging service like WhatsApp, a social network like Facebook, or a plain old email. AR Emoji crashed and burned during Samsung’s press event in Barcelona on Sunday, and they were a little stiff in our experience, too. The single front camera struggles to track head movements and mouth movements beyond a fairly narrow field of view, and if you don’t hold the S9/S9+ close to your face when you’re creating an AR Emoji, the resulting animation can be really janky. Suffice it to say, AR Emoji aren’t quite as endearing as the 1-to-1-tracked, cute and cuddly characters on the iPhone X. Digital lipstick, courtesy Bixby Vision. Bixby, Samsung’s homegrown digital assistant, makes a return on the Galaxy S9 and Galaxy S9+. 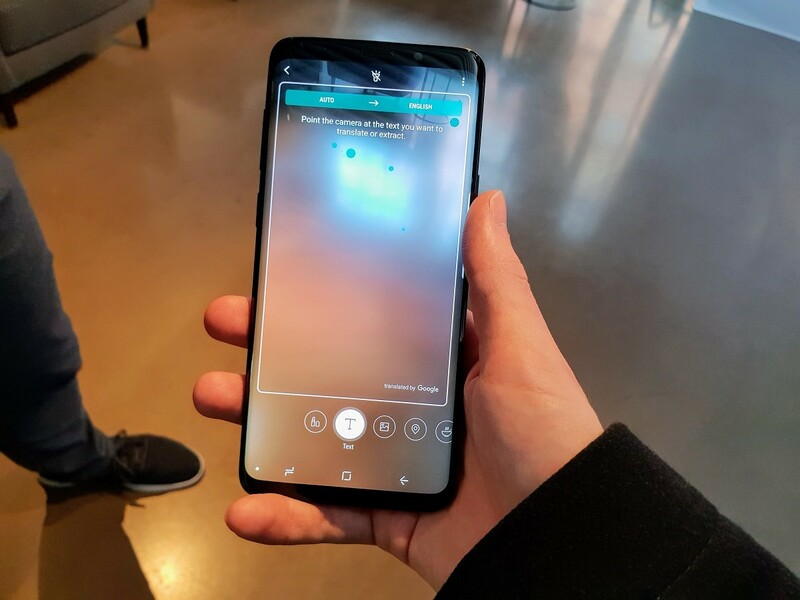 The latest incarnation can be launched via the Samsung Galaxy S9 and S9+’s dedicated Bixby button (below the volume rocker on the left-hand side): a single press pulls up Bixby Home, a collection of cards that contain timely information. You’ll see the weather report, a preview of your commute (based on your location and proximity to your saved work/home address), upcoming alarms, and health information (like you step count) from S Health. None of that’s new, but Bixby Vision, Bixby’s machine vision feature, is improved in a few key ways. An augmented reality feature overlays shades of lipstick, eyeshadow, and other makeup on your face, letting you “try on” beauty products before you purchase them through Sephora and Cover Girl. Bixby Vision now supports real-time translation a la Google Translate. And if you point Bixby Vision’s viewfinder at food, it’ll serve up the estimated calorie count and other nutritional data. 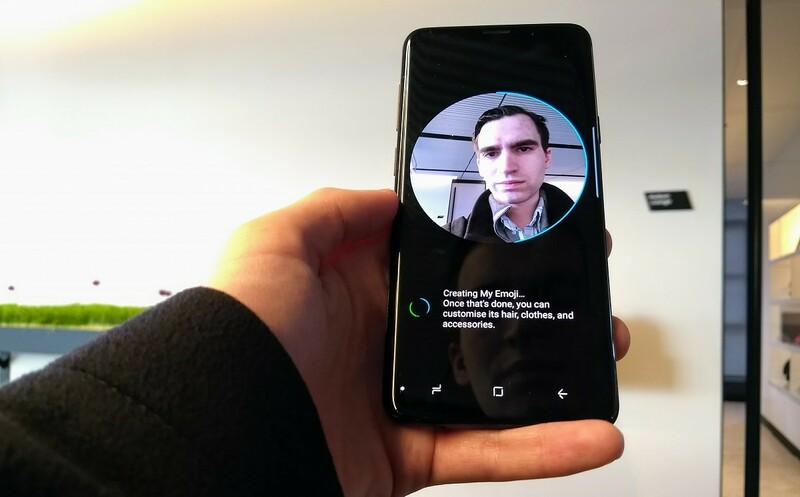 The “digital makeup” feature worked well in our testing (maybe too well), but we didn’t have an opportunity to try Bixby’s new food recognition or real-time translation features. It’s worth noting that after the Samsung Galaxy S9 and S9+ ships in March, Bixby will gain additional features. 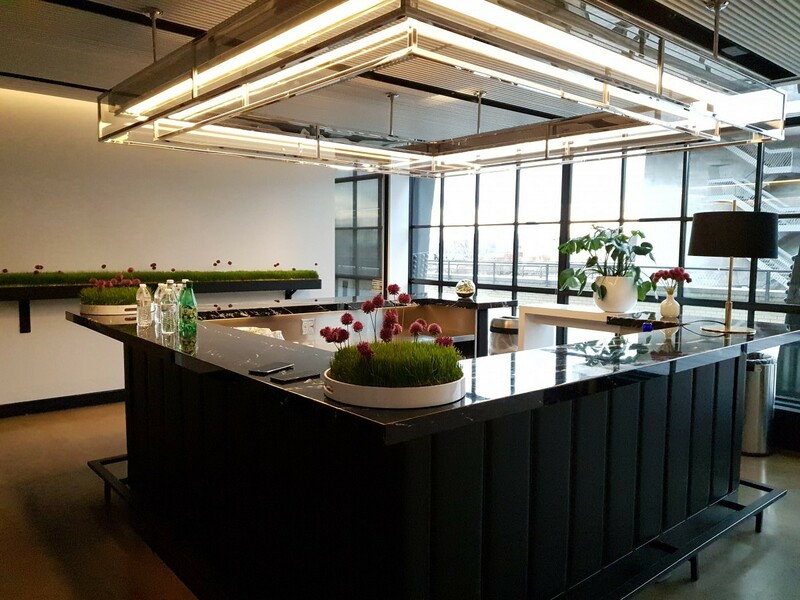 In August, Bixby 2.0, which launched in public beta in December, will roll out to phones, Samsung mobile chief DJ Koh told members of the press at MWC 2018. 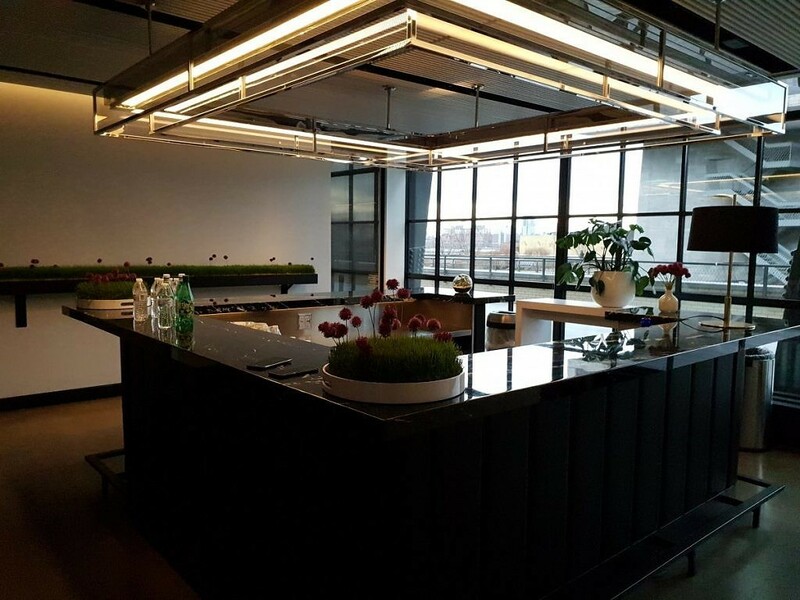 It’ll recognize multiple voices and integrate tightly with TVs, refrigerators, home appliances, and other connected appliances. The Samsung Galaxy S9 and Galaxy S9+, like other recent flagship Samsung phones before them, ship with one of two system-on-chip (SoC). This time around, it’s Samsung’s Exynos 9810 or Qualcomm’s Snapdragon 845. It’s worth diving into the technical weeds to get a better sense of chips’ differences. The Exynos 9810, the second SoC in the Exynos 9 series, is built on a 10nm FinFET process and adopts ARM’s DynamIQ architecture. It has four high-performance custom cores clocked up to 2.7GHz and four ARM Cortex-A55 cores clocked at 1.7GHz, and a wider pipeline with improved cache memory. Performance is substantially improved over the Exynos 8895 in the Galaxy S8 and S8+: Samsung says the Exynos 9810 is two times faster in terms of single-core performance and 40 percent faster in terms of multi-core performance. The Exynos 9810 ships with the Mali-G72MP18 GPU, which has a slightly decreased core count compared to the Exynos 8895’s Mali-G71MP20, but improved per-core efficiency. The chip’s Cat. 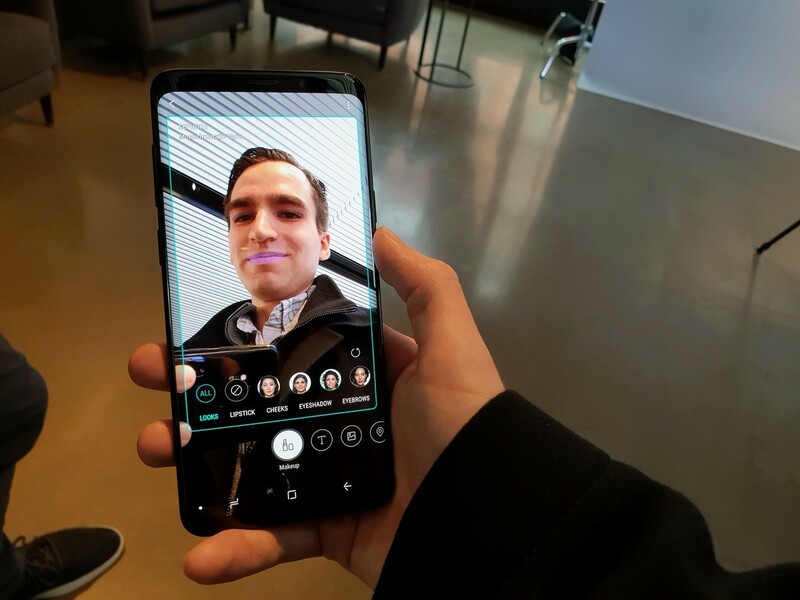 18 Gigabit modem supports download speeds over LTE up to 1.2Gbps thanks to 6X carrier aggregation (6CA), 4×4 MIMO, 256-QAM, and License-Assisted Access (eLAA), and it has neural network deep learning technologies that power Bixby’s image recognition features and 3D Emoji’s face-tracking filters. Finally, there’s a secure element that safeguards biometric data such as fingerprints, iris scans, and facial information. The Qualcomm Snapdragon 845, which we recently benchmarked, is also built on a 10nm process and adopts ARM DynamIQ. It has eight custom Kryo cores: four Cortex-A75 “Gold” performance cores clocked up to 2.8GHz and four Cortex-A55 “Silver” efficiency cores clocked at 1.7GHz, which contribute to a 30 percent boost in overall performance and a 25 to 30 percent improvement in power-efficiency compared to the Snapdragon 835 in the Galaxy S8 and S8+. On the visual processing side of things, the Snapdragon 845 packs the Adreno 630, Qualcomm’s latest GPU. It’s 30 percent faster and 30 percent more power-efficient than the Snapdragon 835’s Adreno 540, and it has 2.5 times the display throughput. Diagram of the Snapdragon 845’s Hexagon DSP. The Snapdragon 845’s other notable peripherals include the X20 modem, which supports Cat. 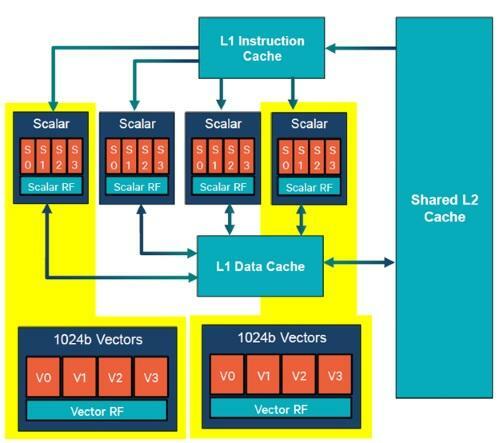 18 LTE download speeds up to 1.2Gbps, carrier aggregation, 4×4 MIMO, 256-QAM, and eLLA; the Hexagon DSP, a chip custom-designed for neural network workloads; and Qualcomm’s Secure Processing Unit, a secure element for biometric data. Our Galaxy S9 and S9+ demo units had the Exynos 9810, and felt as swift and speedy as you’d expect. Switching between apps and juggling multiple tabs in Chrome was equally as breezy, likely thanks to the 6GB of RAM in the Galaxy S9+ and 4GB of RAM in the S9. That said, we’re reluctant to jump to any conclusions about performance without time to run the phones through their paces (i.e., perform benchmarking tests and our in-house suite of scripts). 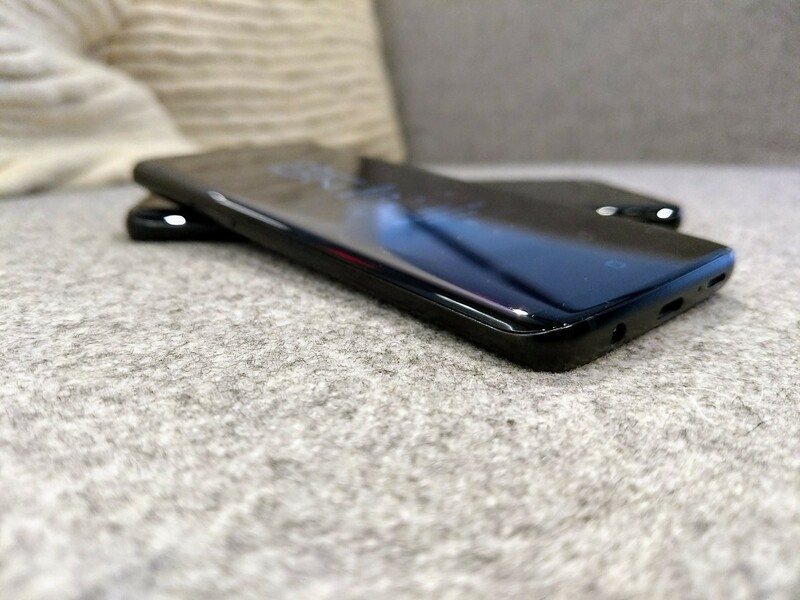 Already, preliminary results have shown that the Exynos 9810 performs unpredictably in the Galaxy S9+, and in the interest of fairness, we’re reserving judgment until we’ve had a chance to thoroughly investigate Samsung’s claims. We’ve also yet to test the Galaxy S9 and S9+’s battery life. They have the same capacities as the Galaxy S8 and S8+, respectively: 3,000mAh and 3,500mAh. (Both support wireless charging and Samsung’s Adaptive Fast Charging.) Samsung says the Galaxy S9 gets up to 14 hours of internet use on Wi-Fi, 11 hours on 3G, and 12 hours on 4G; 16 hours of video playback; and 22 hours of talk time. It says the Galaxy S9+ gets up to 15 hours on Wi-Fi, 13 hours on 3G, and 15 hours on 4G; 18 hours of video playback; and 25 hours of talk time. And we haven’t tested the storage’s read and write speeds. The Galaxy S9 and S9+ ship with 64GB of internal memory (up to 256GB) and a microSD slot that supports cards up to 400GB. The Galaxy S9 and S9+ ship with Samsung Experience 9.0 atop Android Oreo. Both are Project Treble compatible which is great news for the modding community — in the future, we expect to see the Galaxy S9 and S9+ boot generic Android Open Source Project images in the future (but only for the Exynos models, which have unlockable bootloaders). As far as Samsung Experience 9.0 is concerned, there isn’t much in the way of surprises. It began to roll out late last year as part of the Android Oreo beta to Galaxy S8 and S8+ participants in Samsung’s Beta Program, after which it launched more broadly in stable form. From what we can tell, Samsung Experience 9.0 on the S9 and S9+ is no different than publicly available version, save features like AR Emoji. 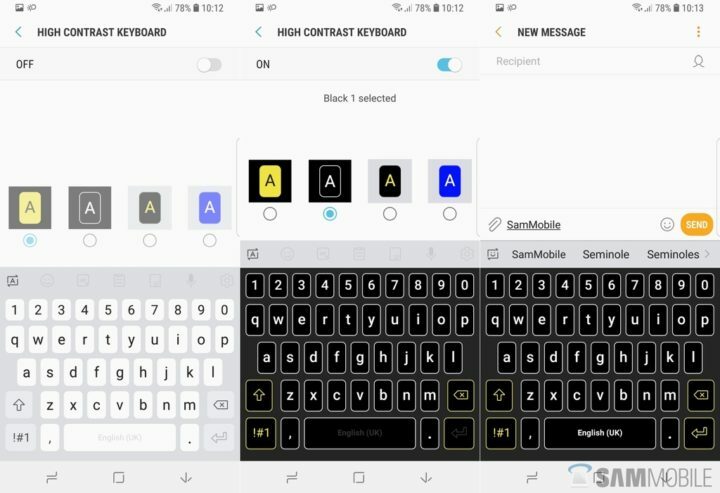 The new and improved Samsung Keyboard adds a Google-style toolbar to the top row with shortcuts, a theme switcher, and a GIF creator. 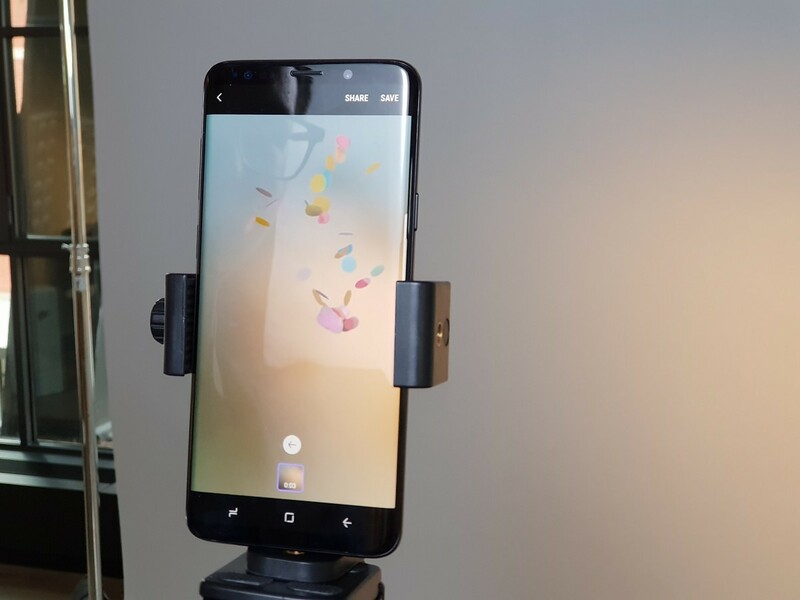 And Edge Lighting, a staple of Samsung’s curved-screen devices that shows alerts, text scrolls, and other peripheral information on the phone’s sides, has been enhanced with more lighting effects. 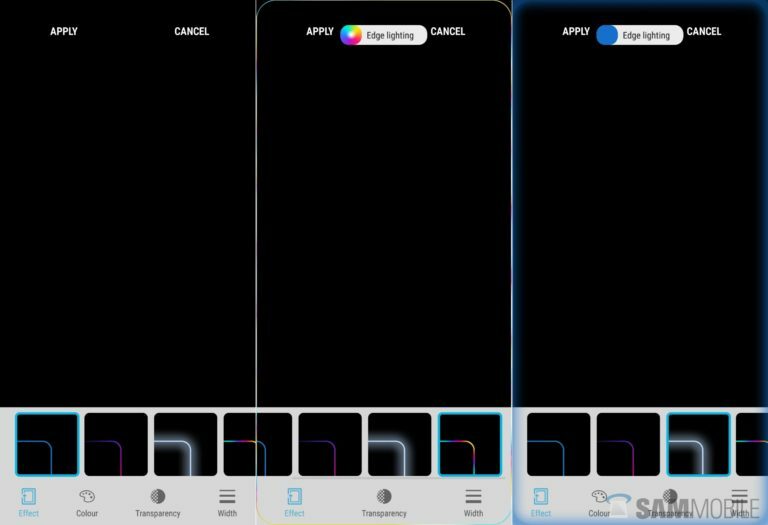 The Samsung Experience 9.0 launcher implements support for Android Oreo’s Notification Dots and Adaptive Icons, and a new color picker that lets you tweak the appearance of folders. Additionally, the lock screen has a new clock widget and an adaptive coloring option that changes the lock screen color to match your phone’s background. If you nab the new $150 DeX Dock with your Galaxy S9/S9+, you’ll benefit from the new, higher-resolution (2,560 x 1,400) display output (double the previous DeX Dock’s resolution). Samsung says that more than 40 partners are optimizing their Android apps for the DeX Dock interface, but alternatively, you can take advantage of Samsung’s Linux on Galaxy feature and install a full-blown Linux distribution. If it wasn’t obvious from the get-go, Samsung isn’t out to break new ground or shake up the smartphone industry with the Galaxy S9 and S9+. That much became clear in the hour we spent getting a handle on AR Emoji, putting variable aperture setting to the test, and blasting sound through the stereo speakers. The S9 and S9+ are iterative in every sense of the word: The new processors are on a par with other flagship devices announced for this year; the S9+’s upgraded RAM and secondary rear sensor bring it up to speed with the competition; and the down-firing speakers merely improve on the S8 and S8+’s disappointing sound. But iteration isn’t necessarily a bad thing. In fact, a Samsung rep told me that the company’s well aware that most soon-to-be Samsung Galaxy S9 and Galaxy S9+ owners will be upgrading from a Galaxy S7 or S7 Edge. For them, the phones are a giant technological leap forward. For current S8 and S8+ owners, though, or folks with a relatively new flagship such as the OnePlus 5T or LG V30, the incremental differences make the price tags hard to justify. At $720 and $840 for the Galaxy S9 and Galaxy S9+, respectively, they’re easily two of the most expensive phones on the market. Trade-in deals and monthly installment pricing help ease the burden a little, but no matter how you slice it, that’s a lot of moolah for variable aperture.